Pears — MumbleBee Inc MumbleBee Inc.
Only valid on a single purchase of loose, unwrapped Pears. Pre-packaged produce will not qualify. Offer valid from 3/07/17-3/13/17. Not valid at BJ’s, Shurfine, Shursave, Family Owned Markets, Thriftway, Wegmans, Shop n Bag or Stauffers of Kissel Hill stores. Unfortunately, this offer cannot be used when you weigh and tag the produce yourself prior to checkout. 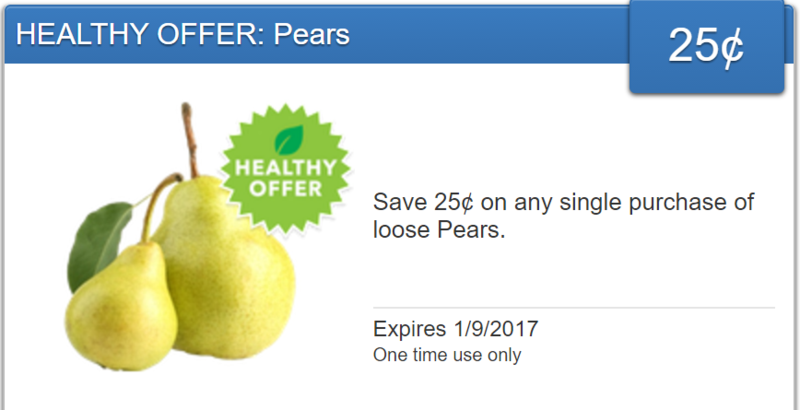 Only valid on a single purchase of loose, unwrapped Pears. Pre-packaged produce will not qualify. Offer valid from 1/3/17-1/9/17. Not valid at BJ’s, Shurfine, Shursave, Family Owned Markets, Thriftway, Shop n Bag or Stauffers of Kissel Hill stores. Unfortunately, this offer cannot be used when you weigh and tag the produce yourself prior to checkout. 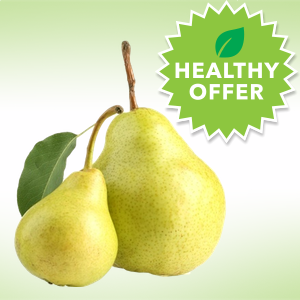 Save 20% on any single purchase of loose Pears at participating retailers. See offer info for complete details. Check back every Tuesday for a new Healthy Offer. Only valid on a single purchase of loose, unwrapped Pears. Pre-packaged produce will not qualify. Valid on purchases up to $10 (maximum $2 reward). Offer valid from 1/5/16-1/11/16. Not valid at BJ’s, Shurfine, Shursave, Family Owned Markets, Thriftway, Shop n Bag or Stauffers of Kissel Hill stores. 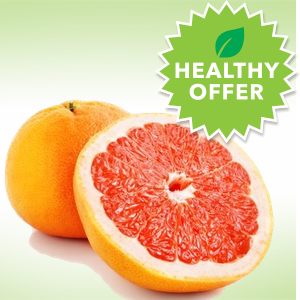 Unfortunately, this offer cannot be used when you weigh and tag the produce yourself prior to checkout. Only valid on a single purchase of loose, unwrapped Pears. Pre-packaged produce will not qualify. Valid on purchases up to $10 (maximum $2 reward). Offer valid from 10/13/15-10/19/15. Not valid at BJ’s, Shurfine, Shursave, Kennie’s, Family Owned Markets, Thriftway, Shop n Bag or Stauffers of Kissel Hill stores. Unfortunately, this offer cannot be used when you weigh and tag the produce yourself prior to checkout.